Consider your exercise equipment. There was a time when those items were first delivered that you put them to good use. Whether that was a treadmill, stationary bike or set of free weights you dived into a workout. Then what happened? If you’re like most folks, you probably got bored with the same routing day in and day out. It’s hard to get motivated to work out without a chance in your routine. Instead of being taunted by that exercise equipment, why not join a gym where you’ll always be challenged and presented with a variety of work out routines? 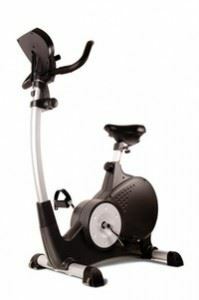 As for that old exercise equipment, the sooner you get it gone, the sooner you’ll feel better. That is where Junk King comes into play. Junk King will provide you with all the muscle you need to get that exercise equipment taken from your home. That muscle will come from two trained crewmembers who will do all the lifting and loading for you. Taking away a piece of heavy exercise equipment can be a challenge if you were to do it on your own. With Junk King on the job, that “challenge” disappears. That same crew can also remove all the rest of your unwanted stuff in the same appointment. Once again, your back won’t be put at risk. 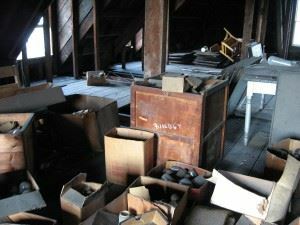 The team from Junk King will gladly climb as many stairs as needed to get rid of your stuff. This means you can finally clear out the attic and basement by just pointing to what you want removed. When it comes to pricing, you won’t have to worry about how heavy your junk is. That is because Junk King never charges by the pound. They base their price on an estimate of how much space your junk will take up on the truck. It’s all about volume not weight with Junk King. Getting rid of unused exercise equipment and home clutter is easy when Junk King is on the job. This entry was posted in Exercise Equipment Removal and tagged Exercise Equipment Removal, Junk King, junk removal on August 31, 2015 by Todd Porter. Last updated August 1, 2017 . The most popular area in a home for a makeover is the kitchen. After all, this is where you spend most of your time, right? However, there is another area in your home that might be going to waste. That is your basement. Even a finished basement could easily have been taken over by clutter. If you want to finally give your basement a makeover, then consider bringing Junk King on board to help. Junk King will provide a two-man moving crew for your basement decluttering. This will be the team who is going to make as many trips up and down the stairs as needed to clear out all your unwanted junk. All you have to do is show the team what you want gone and they’ll handle the rest. In some situations, that two-man team might not be enough manpower. Junk King has been called on to help with hoarder situations. That often requires additional teams and trucks to make sure everything can get cleared out in a single appointment. Once again, that is no problem for Junk King. You should never be embarrassed by the amount of junk you need to get rid of. The only shame is living with it when you know how easy it is to get it cleared with Junk King. Just because you’re calling Junk King in to clear out your basement doesn’t mean they have to stop there. Junk King will be happy to provide cleanup around your yards. Don’t worry if what you have to remove is dirty. It is all in a day’s work for the Junk King team! So, how much does Junk King cost? You can get a rough idea by using the Junk King price estimator found on their website. However, they won’t be the final estimate. That can only be provided by the crew in person when they’ve had a chance to size up your junk for themselves. They will be estimating how much space your junk will fill on the back of the truck. This will become a single, flat fee that covers everything. You won’t be paying by the pound. You also won’t be paying by the hour. Those two factors along will save you plenty. When you’re ready to give your basement a makeover and clear your home of clutter, Junk King will be ready for you! This entry was posted in Albany Junk Removal and tagged basement, Junk King, junk removal on August 21, 2015 by Todd Porter. Last updated August 1, 2017 . Gift giving is a tradition that goes back to the dawn of man. You can imagine the caveman coming home with a fresh mastodon for the special lady in his life. After devouring the meat, those bones could be carved into other tools that would be given as a housewarming gift to the new family that moves into the cave next door. Today, gift giving can be accomplished right from the comfort of your couch. A few clicks and you can have a present sent to a special someone. It can even be gift-wrapped! Although any gift will be appreciated there is one present that can end up transforming a person’s entire life. That would be the gift of junk removal from Junk King. How can junk removal transform someone’s life? Imagine living with so much clutter in the garage that you can no longer park your car in there. That might not matter in the summer but when winter rolls around again and you have to shovel your car out of the snow, it can make a huge difference. What about clearing out so much junk that a person can set up a home gym or business. Either one of those scenarios can certainly be life transforming. That brings us back to the gift of junk removal from Junk King. 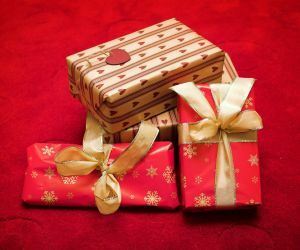 By presenting this gift, you’re providing the means for that special someone to get rid of all their unwanted items without lifting a finger. Junk King will provide a hard working crew and huge truck. All they need is to be told what to take away and they’ll handle the rest. That even includes clearing out any yard waste piling up out back. After providing a junk removal gift for someone, you might be inspired to hire Junk King to clear your property, too. Depending on the circumstances, Junk King can probably handle both appointments in the same day. Being Albany’s leading junk removal specialist means they know how to schedule! As for the cost, Junk King only charges a flat rate based on volume and not weight. It all comes down to how much space your junk will need on the back of the truck. Check around town and you’ll find that Junk King’s junk removal is the best deal in Albany. Put them to work today! This entry was posted in Albany Junk Removal and tagged Junk King, junk removal on August 2, 2015 by Todd Porter. Last updated August 1, 2017 .